Does Monroe County Home Care, Inc offer the following services? Each ZIP code that Monroe County Home Care serves is highlighted on the map above. 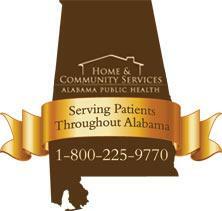 the in-home bio-monitoring program combines resources from adph home care, alabama medicaid agency and the university of south alabama to provide an in home monitoring service for specific chronic ilnesses. Medicaid patient 1st patients who have congestive heart failure, diabetes, and/or hypertension may qualify for the in home monitoring program. The patient 1st provider will determine if the patient needs daily monitoring and will provide the orders for the patient to be admitted to the in-home bio-monitoring program. For immediate assistance regarding the in-home bio-monitoring program please contact jacqueline giddens at (334) 206-5685. Monroe County Home Care serves ZIP codes that encompass all or part of each of the cities listed below.